What if people had an outlet for all of their violence and rage? How would Americans act if all laws and emergency services were suspended for 12 hours? The Purge series seeks to answer these questions, and it now looks that the next installment will feature a bolstered ensemble cast to find those answers. According to Deadline, the third installment of The Purge will feature Betty Gabriel, Edwin Hodge, Kyle Secor, JJ Soria, Mykelti Williamson, and Elizabeth Mitchell. Some of these performers are newcomers to the franchise, while others, like Hodge, are returners – he appeared in the two prior installments, The Purge and The Purge: Anarchy. Between all of these actors, there’s a very strong pedigree that spans numerous decades of film and television. In particular, Mykelti Williamson played a prominent role in the 1997 film Con Air as one of the prisoners pitted against rebellious inmates on an airborne penitentiary. Sound similar to The Purge? 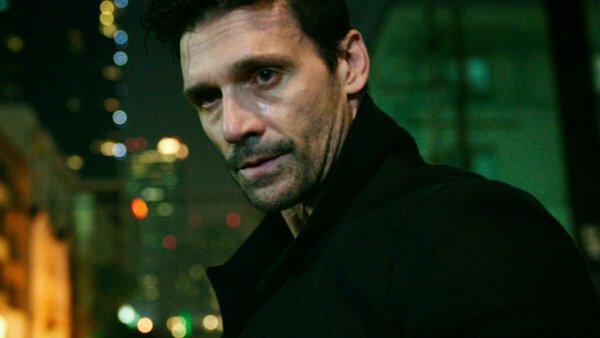 While no descriptions of the new characters have been released, these new additions to the cast are confirmed to join actor Frank Grillo, who is set to return as primary protagonist, Sergeant. The Purge is a series that lends itself to an ensemble cast more than most horror films. While the original 2013 film featured Ethan Hawke and Lena Heady in starring roles, its sequel – The Purge: Anarchy – proved to be a solid improvement by bringing the films out into the middle of The Purge Night, and opening up both the cast and the world. In a way, The Purge franchise seems intent on modeling itself after the 1970s cult classic The Warriors, by pitting a sprawling cast against an entire city intent on seeing them killed. Through use of an ensemble, rather than a single central protagonist, it becomes much easier for audiences to project themselves onto the chaotic proceedings of the film and indulge in the hypotheticals about how they would respond to the violence. That being said, very little has been revealed about The Purge 3 regarding its plot. The series most certainly found its stride with Anarchy, so repeating the process and sending these characters on a trek through a hostile city would most certainly garner a profit. However, the next installment may try something entirely new – perhaps even pitting these characters against the government, which pits the lower classes against one another while the rich hide in their safe houses. Think Hunger Games: Mockingjay only set in a more familiar world. We won’t know what these new additions to The Purge franchise will bring to the table until the film comes to theaters. However, the extensive resumes of all involve give plenty of reason for us to be excited about the future of the franchise. The Purge 3 has a tentative release date of July 1 of next year.